BENZONIA, MI — The morning that two jetliners destroyed the World Trade Center 14 years ago today I was in Manistee, Michigan shopping for a new car. If you recognize, as I do, that among the primary Al Qaeda justifications for the attack was America’s late 20th century appetite for Mideast oil, and the meddlesome regional interest we displayed for securing our petroleum supply, then you might also consider that my search for an affordable vehicle was a portion of the problem. At the time the United States was consuming over 20 million barrels of oil daily, nearly 60 percent of it imported. Vehicles capable of 30 miles per gallon, especially those roomy enough to transport children, were not widely available. There’s good reason to consider the 9/11 attack as the murderous opening act in a new century of political risk prompted by the rise of inflexible orthodoxies. That’s certainly the case in the U.S., where an unarmed insurgency of legislative ideologues, backed by millions of anti-government religious fundamentalists, shut down the federal government in 2013, and are preparing to try to do so again this year. In my mind, though, that terrible September day was the close of a century of planetary waste and abuse, an assault on our ecological endowment, and the start of a new era of reckoning and correction. If the 20th century was a river of unevenly distributed wealth and treachery that left too much of the planet in ruins, then the 21st century could well promise safe steerage through very difficult channels. Though much of our attention is still directed to the blood spilled by terrorists, or the inanities of national election candidates, fifteen years into the 21st century there are embryonic signs of useful evolution. Some are bigger than others. The Pearl River, which empties into the Pacific Ocean in southeast China, supports over 50 million people in the largest urban megalopolis on Earth. Chinese national and municipal authorities are preparing for even more intensive population growth in a region no larger than Delaware with simultaneous and expensive projects to build rapid rail transit networks, energy efficient high-rises, water and air pollution control infrastructure, and clean energy electrical generation. Some changes are smaller. In the Andes mountains of northern Peru, site of some of the largest open pit gold mines in the world, resistance by local campesinos to water pollution and land degradation has been so powerful that multi-national mining companies have been forced to shut down existing operations, curtail plans for building new mines, and retrofit operating mines with advanced water and air pollution control equipment. 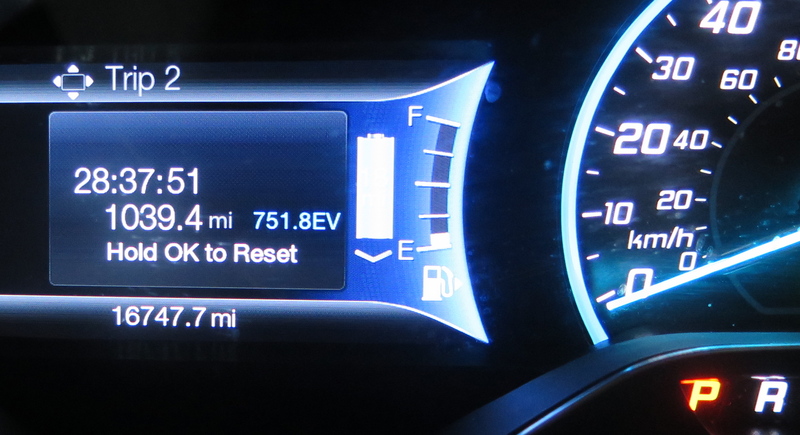 And some are personal, like my car, a Ford C-MAX Energi plug-in hybrid. 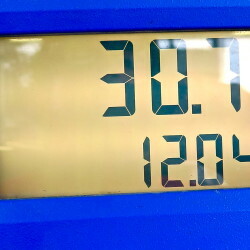 Earlier this week, after traveling 1,039 miles between fill-ups, I put 12 gallons into the tank. A long time ago I spent a day at the 1964 New York World’s Fair, where among other things I learned that the future promised 100-mile-per-gallon cars. That day has arrived, courtesy of the development of electric vehicles and plug-in hybrids. 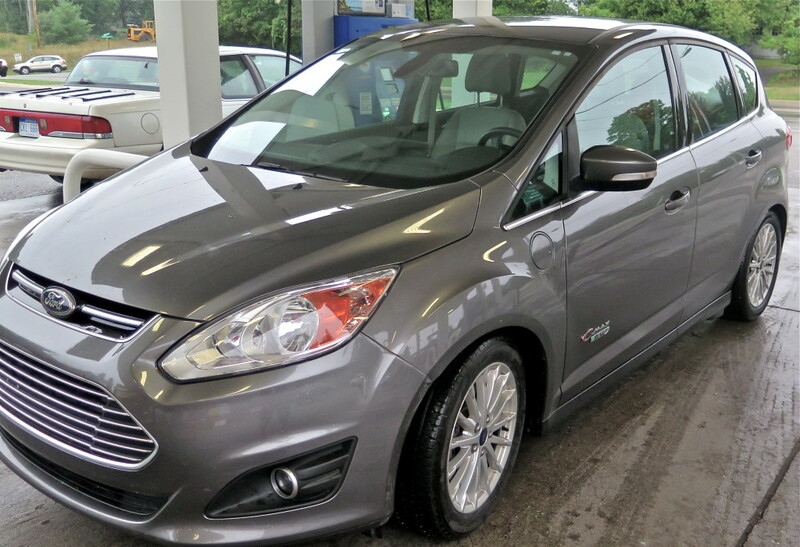 The C-MAX Energi has electric and gasoline-powered propulsion. The car gets gets 17 to 20 miles on an electric charge in the summer, a little less in the winter. Both distances fit my driving. The towns where I generally go to shop for food or entertainment are five to ten miles distant, which means I get there and back on a single charge. I plug in the car nightly and use about 60 kilowatt-hours a month, or about $10 of electricity. I drive about 1,000 miles a month. On longer trips the car switches from electric to gas-powered. Typically I fill-up once a month. My highest monthly fuel bill this year was $37. In 2014, the year I acquired the car, American and international manufacturers sold 123,049 electric and plug-in vehicles in the United States, according to InsideEVs.com. This year, with lower gas prices, there may be less sold. The C-MAX Energi is the fifth highest-selling electric vehicle. Though a tiny portion of all vehicles sold in the U.S., the advent of electric vehicles points to a new era of fuel-efficient, less polluting transport. I feel righteous, in a region of the country that has poor public transit, about the small part I’m playing to help advance that trend. The 9/11 catastrophe was an end and a beginning. Underlying so much of the political, economic, and ecological turmoil that grips the world is a slow collision between the operating practices of two centuries. The resource-wasting, vertically managed operating practices that linger from the 20th century are running headlong into the much more crowded, polluted, and dangerous ecological and economic conditions of the 21st century. Changing trend lines for national and global supplies of natural resources — energy, water, food — prompt a good portion of the world’s collective grievances and fury. Yet like pearls forming in the soft tissues of oysters, competition for scarce resources is producing new requirements for conservation and environmental sensitivity. My car is one of those pearls.